Life-satisfaction is our subjective appreciation of our life as-a-whole. The synonyms are happiness and subjective wellbeing. A good society is first of all a livable society and the livability of a society manifests in the life satisfaction of its members. Therefore improving society requires an understanding of life satisfaction, in particularly it requires answering the following seven questions: (1) What is life satisfaction precisely? (2) Can life satisfaction be measured? (3) How satisfied are people presently with their life? (4) How do we assess how satisfied we are? (5) What conditions add to life-satisfaction? (6) Can life satisfaction be raised lastingly? (7) Should life-satisfaction be raised? 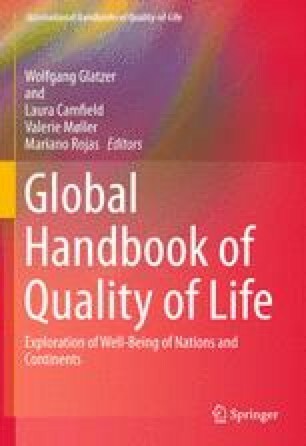 Throughout the ages philosophers have toiled with these questions, and since the 1960s they have been subjected to empirical research In this chapter I take stock of the progress that has been made in this field, using the many research findings gathered in the World Database of Happiness.